Amazing day at the Team Carly Rocks Swim For The Diabetes Cure event today. Amazing day at the Team Carly Rocks Swim For The Diabetes Cure event today. 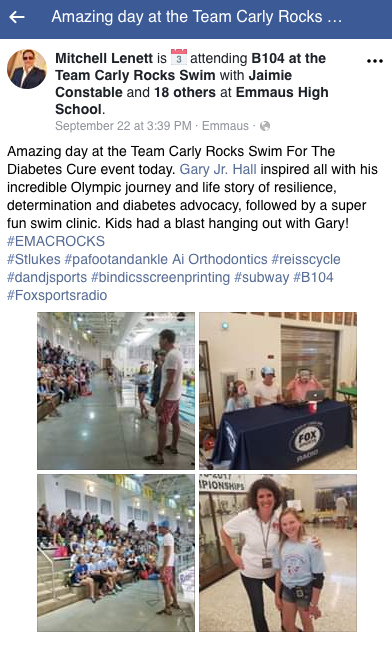 Gary Jr. Hall inspired all with his incredible Olympic journey and life story of resilience, determination and diabetes advocacy, followed by a super fun swim clinic. Kids had a blast hanging out with Gary!